June 9, 2013 – River Mangrove Are The Life Of Climate.IS. Kolkata as the tiger, I hope more than anything in the Indian Sundarbans. At least 103 have been confirmed existence of tigers in the banadaptara. Banadaptara and dabliudabliuepha – an initiative of the tiger kyamerabandi 101 cameras have been installed. Alipore zoo sajanekhali banadaptarera custody and two tigers. In other words, at least 103 of the Sundarbans Tiger Reserve bayosphiyara are currently. 55 to 57 pairs of phase phorera manitarinye Sundarban core zone automatic camera was mounted sajanekhali, basirahata range and National Park East. From November last year to March this year the survey has been through the cameras. The initiative dabliuaiaira twenty-four Parganas South West Division of the National Park System study is the same range. The initial state of the automatic cameras in front of the still image of the obajektera. But obajekta more than 30 seconds when the camera is in front of the cameras automatically start obajektera video photography. The cameras to obtain images and video based on the data analysis is the sajanekhalite 17, basirahate 13, the National Park iste and 7, the National Park oyeste and 3, and the twenty-four paraganaya and 1 tiger presence is confirmed banadaptara. 010 – and 011 – fold, had a forest officer and সুন্দরবনপ্রেমীদের’s baghasumari forehead. 75 to 90 tigers in the Sundarbans asbitbera was talking. The number of tigers in the Sundarbans in the bottom of the thekeche. Bachchu banadaptara be sure about the number of tigers and dabliudabliuepha camera decides to leaves. The risk of adverse effects . Ramapale Bagerhat thermal power plant of the Sundarbans adversely affect the overall environment of the horror that has been one of the research report. In a report published in relation to the protection of the Sundarbans has urged the government not to create tapabidyut center. 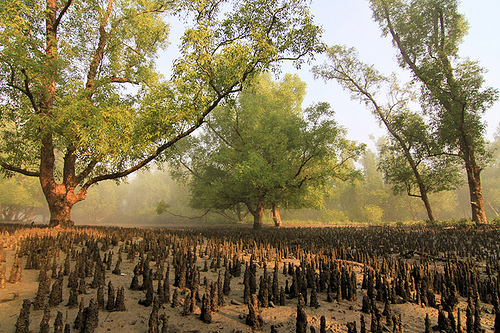 Recognized as the world’s largest mangrove forest Sundarbans is located in southern countries. This is a list of natural wonders, but it took place in the short list. Devastating natural disasters like Sidr and Aila’s deadly crash was protected from the full daksinancalake the Sundarbans. The government wants to create with the help of the Bangladesh Sundarbans within the coal-based tapabidyut center. The Sundarbans is the place to build it from the buffer zone of 14 km and is located just 1 km away. Tapabidyut Sundarban area surrounding the creation of the harmful effects – one of several environmental organizations in the research report. The negative aspects are highlighted. Environmentalists, however, this loss will be deadly if তাপবিদ্যুৎকেন্দ্রটি sundabana and its concerns – side region. Unable to coping with natural disasters in the future it will be.This report is published, the implementation of the decision adopted by the natural disaster will not be able to protect the Sundarbans effective in any role. The world’s largest mangrove forest, the whole bastusansthanao is broken. Considering the overall situation, the experts urged the government to come away from this deal.